Get more affordable workers compensation coverage for your auto shop or body shop. See if your business qualifies for one of our Target Auto Programs. Workers compensation rates for the automotive industry vary drastically between insurance companies. Although a lot of carriers are eager to quote auto related coverage, its not uncommon to see a 15% - 20% rate difference for the same automotive class codes. We like to shop coverage for auto repair, sales, machinists, and service with all of our insurance partners so they have to compete to earn your insurance business. 8380 Auto Service and Repair Centers. This is a broad code and typically applies to service stations and gas stations that perform repair or service work. This includes batteries, tires, oil changes, tune-ups, transmission work, etc. This class also includes specialty shops such as muffler shops and brake repair. Code 8380 also applies to employees working for new and used auto dealers and includes mechanics, parts, and service writers. Additional types of auto shops associated with this code include tire dealers. car washes, glass replacement, and window tinting. 8393 Auto Body Repair. This code is applicable for the body repair of automobiles using metal, fiberglass, and plastics. This classification includes upholstering and painting, and dent repair. Paint only operations typically fall under class code 9505- Auto Painting. 8748 Auto Sales and Dealers. Applies to sales people employed by new and used care dealerships. This class also includes salespeople for boat and outboard engine dealerships. Not applicable to MA or TX. 8398 Auto Sales or Service Agency- Service, Parts, and Drivers. Applies only in NJ. 8046 Auto Parts Stores Including Drivers. This class applies to both retail and wholesale auto parts and accessory stores and delivery drivers. It also includes salvage yard employees who do not work in the yard. N/A in MN and TX. 3821 Auto Recycling and Drivers. Applies to savage yard operations and includes dismantling of all types of automobiles. N/A in IN, MA, MN, and TX. 3632 Auto Machine Shops. Applies top operations whereas parts are manufactured, fabricated, or rebuild while not attached to any vehicle. This code includes the repair of engines, inboard/outboard motors, and small engine repair. Notes There are numerous state exceptions and state specific applications of auto related class codes. Please contact a Workers Comp Specialists for detailed information regarding the application of auto related class codes to your business and state. Most auto related classification codes apply to motorcycles, ATV's, and boats in the same manner as applied to automobiles. Offers competitive rates nationwide and provides multi-line discounts when combined with liability, property, auto or BOP coverage. A very good work comp solution for auto service and repair, gas stations, and used car dealers with prior claims or injuries. Offers quick and affordable quotes to new ventures and employers with good loss histories. Low rates and great general liability coverage for auto repair, machine shops, and parts manufacturers. 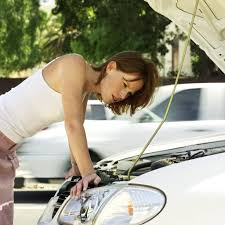 Often offers the best price on certain auto service risks in most states. National coverage and Specialized Business Owners Policy for auto repair shops. We offer other auto service programs with some of our other carriers depending on your state, type of business, and loss experience. Give us a call today to learn more or see if your business qualifies for lower cost coverage on workmans comp. There are a lot of markers that offer workers compensation coverage for auto repair, body shops, and dealerships. But we offer exclusive programs with the lowest rates so you get the very best prices on coverage. Get started online to see if you qualify for the best prices on your next policy. Or give our Specialists a call today at 888-611-7467 to get quotes.